hmm… how can we prepare for THIS? There’s got to be something we can research? Slowly we realised that there wasn’t much preparation we could do for this particular project and that we were just going to have to wing it. ‘Go with the flow’ as they say. But first, in a last ditch effort to feel just a little bit efficient, we decided to look up the word ‘work’. Work: an activity involving mental or physical effort done in order to achieve a result. Okay… we do quite a lot of this thing they call ‘work’. We can easily talk about that. In fact we have spent the last fourteen years researching for this very conversation. 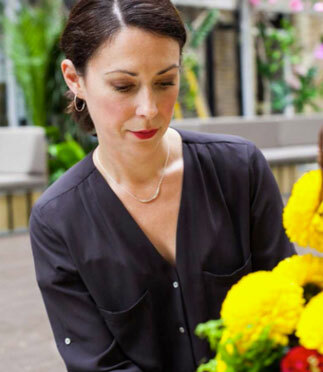 You both started this successful floristry company together – what made you take the first leap? Each other! Alan and I were both very young, we didn’t have any responsibilities and few expenditures. Living in London in the late nineties and early noughties, our priorities were being happy and doing things our way. We weren’t afraid of living on next to nothing. And carrying flowers on the tube! At the beginning we found ourselves working for three separate florists completely by coincidence. It wasn’t long before we became great friends. We have exactly the same sense of humour. But we are also very different. I (Caroline) am the quiet one who looks out for opportunities whilst Alan is the fearless one who will say- “Why not? Let’s do it!” Our blend of caution, courage and of course creativity ended up being a great combination. We worked harder than either of us ever thought possible and the company grew along with us. Are you both really as flower obsessed as we think you are? We have probably thought about flowers every single day for the past twenty years! We are so brainwashed by flowers! As a result we can spot them a mile off. Before our brains even have a chance to register anything else. Just when we think we may be getting slightly complacent, the seasons will change. Always bringing us something new and exciting. Does Hybrid have any favourite event themes? Summer with a twist is always fun. It gives us a chance to design all manner of beautiful florals. Using lovely bold shapes and colours. As well as some striking one-off focal pieces. Summer events offer us a golden opportunity to create some gorgeous high impact installations on themes such as Summer Festival Season, English Countryside and Midsummer Night’s Dream. The possibilities are endless! 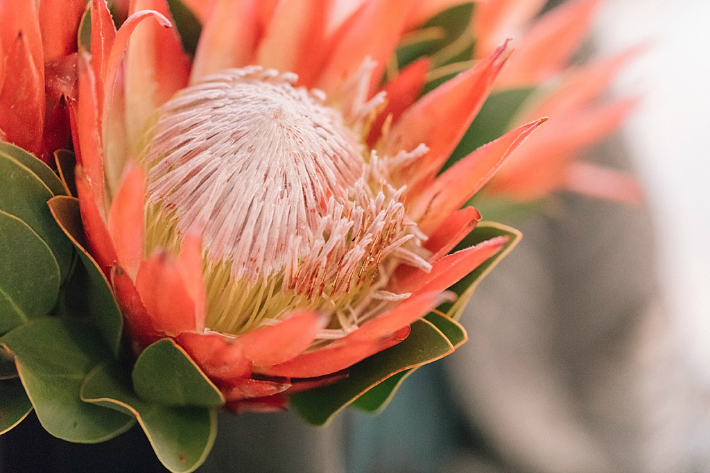 We understand that as flowers are living and breathing tools to work with therefore they must have their complications – what has been your most challenging event? Any event on a hot weather day! Before we moved to our lovely cool and spacious work studio, storing delicate flowers in the summer heat was a nightmare. With many flowers to organise, especially delicate peonies, planning was essential. Most of our peonies are sourced from Holland so we had to work out exactly when to place our order so that our peonies would work their magic and open just in time for each event. However, when there is a heat wave all that planning can go out the window as peonies can simply burst open and drop their petals as soon as you look at them. Back in the day, we were so lucky that our suppliers allowed us to store our flowers in the market so that they could slowly open. Unfortunately, even with this lifeline, exposure to sudden heat just travelling from A to B can cause peonies to explode in a puff of petals and there is no putting them back together. 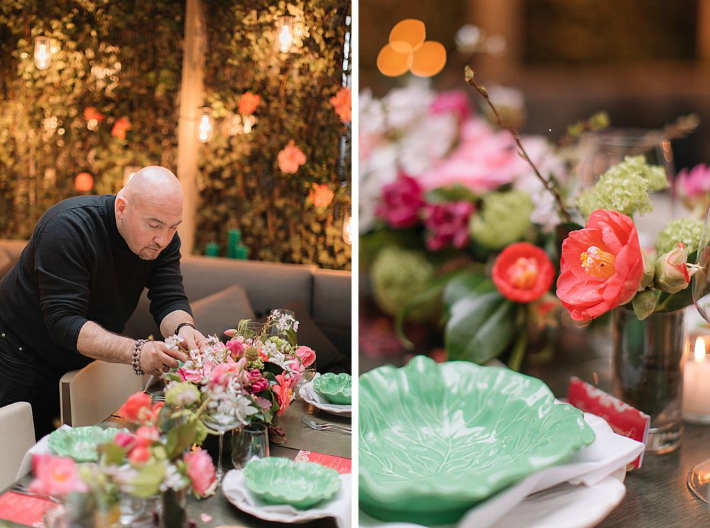 Alan still laughs to this day at the memory of me driving back and forth from the flower market with buckets full of hundreds of peonies not sure whether to leave them in the market, take them to our workshop or just get them to the hotel early! In fact, one of our wonderful suppliers gave me buckets of peonies just to calm me down! What would be your top tip(s) to create maximum impact when using floristry at an event? At Hybrid, we always recommend pooling your budget so that you can create a few key pieces for an event. Otherwise, you run the risk of spreading your budget too thinly across a large number of items that won’t have the same dramatic impact on the day of your event. Last but by no means least, always have a ‘star flower’ at the core of your designs. By doing so, your guests will marvel, comment on and admire this ‘star flower’ and they will forever associate it with you and your event. Flower arranging is no way as easy as it looks, do you have any insider knowledge or trade secrets to reveal to create the perfect display at home? If you have a choice always buy vases with a narrow neck. Even if you only have a few stems of flowers or branches of gorgeous foliage, a vase with a narrow neck will ensure they always stay in place. As a rule it is easier to work with smaller vases. 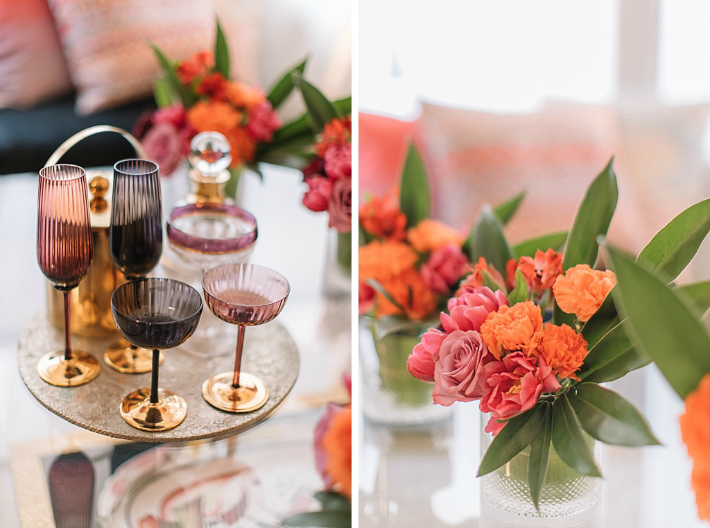 Look for matching sets of little vases and use a few flower heads to create an eye-catching display. For larger striking designs, it is often better to buy multiples of one particular flower rather than trying to experiment with a whole host of different varieties. Bundles of daffodils or a mass of dahlia will look amazing on their own or softened with some lovely foliage. 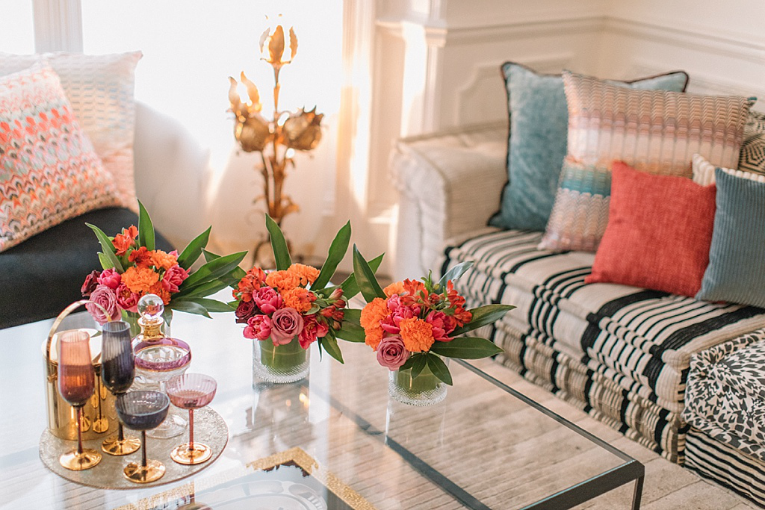 Finally, as florists, working with gorgeous flowers everyday – are you as obsessed at home? 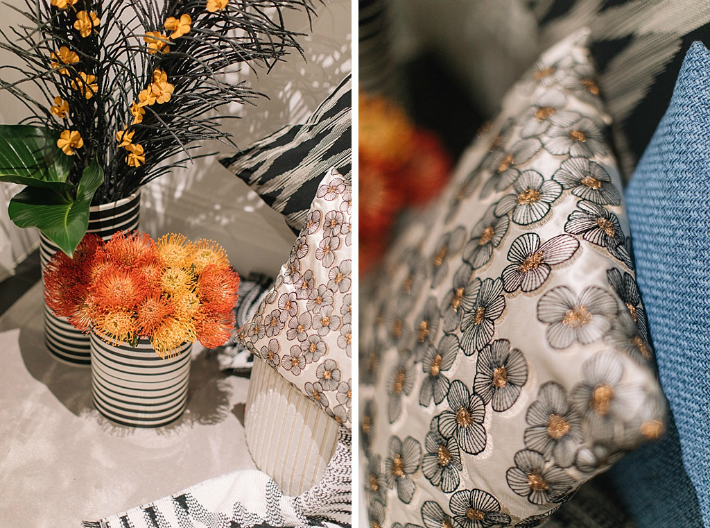 We do have our favourite flowers at home, ones which we know will best complement our own personal styles. However, on the rare occasions we are given flowers, or when we take random left overs home, we do get rather excited and think “Wow, this time I am the client, how do I want to arrange them?”.